Extra storage and space is an essential for any explorer! This page has everything you need for storage, hydration, and Pads from the best brands including PRP, Pro Armor, Assault Ind, and SuperATV. With such a wide variety there are endless possibilities for storage spots! 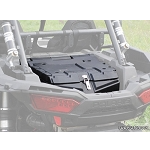 Stay hydrated with the Pro Armor Seat Hydration system and add some extra storage in the back of your Polaris RZR with the SuperATV Polaris RZR XP1000 Rear Storage Box or the Assault UTV Polaris RZR XP1000 Rear Storage Bag. While your at it already in this section check out the PRP Seats Polaris RZR XP 1000/900s Stock Door Bag w/ Knee pad for some extra storage and comfortability.